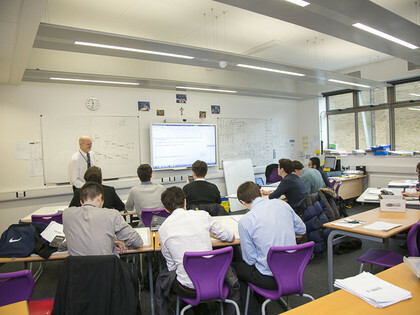 In the Sixth Form at Christ's School we offer a professional, caring and supportive learning environment. From the moment you join you'll participate in a variety of special social and academic activities with many opportunities to inspire your choices. The activities will provide links to careers and interests that will work hand in hand with our curriculum and enrichment programme. We place great emphasis on students building up a portfolio of experiences to evidence their academic interests beyond the classroom. 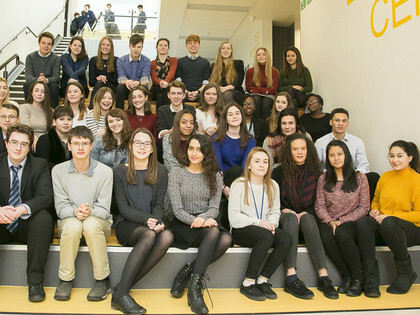 This not only helps Sixth Formers with their A level studies by encouraging them to link their knowledge and learn to understand their work in a wider context, but this evidence is also of great interest to universities and employers. We place a great deal of emphasis on the relationship that exists between students and their mentors at Christ’s. Mentors will support their students through two years, from induction to UCAS application or other post sixth form routes. Students will have regular contact with their mentors, meeting each day for registration and tutorial time. To find out more about life in the Sixth Form have a look at our Sixth Form Life booklet, Prospectus and Handbook below.